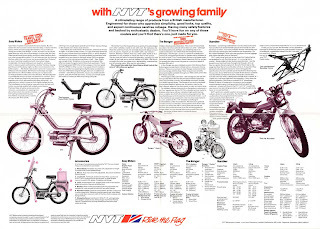 Here's a scan of both sides of an A2 (A4 folded twice) size fold out brochure for the NVT range in late '70's. Ramblers —something a little different on the street/trail scene. Take another look at the Rambler picture and maybe you will see what we mean. You have probably already noticed the front disc brake but what about the cantilever rear suspension ? Or the rubber headlight? And who else supplies a chrome luggage grid within the basic price of the bike? NVT took along hard look at the street/trail market before we embarked on our Rambler project. 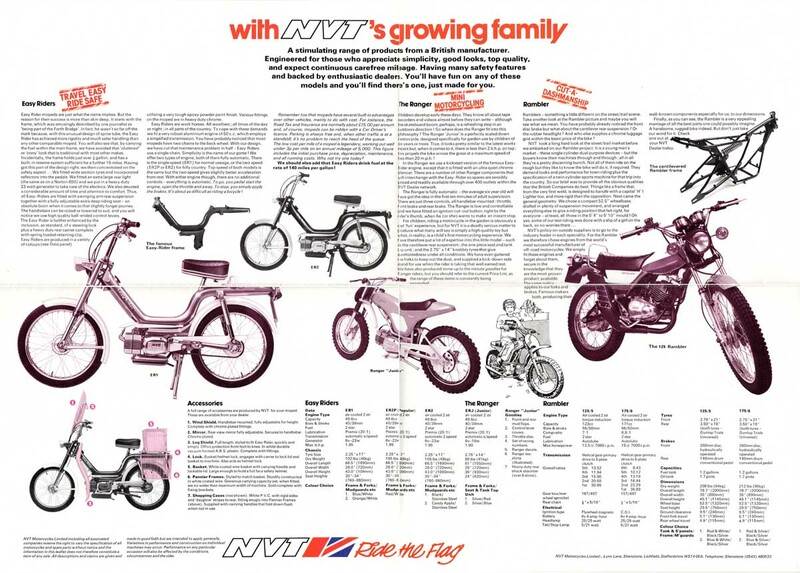 It is a young man’s market - these single cylinder dual purpose devices - but the buyers know their machines through and through ; all in all they’re a pretty discerning bunch. Not all of them ride on the rough but they like to know the bike will do it, if required. They demand looks and performance for town riding plus the specification of a twin cylinder sports machine for that trip into the country. So our brief was to provide all the obvious qualities that the British Companies do best. 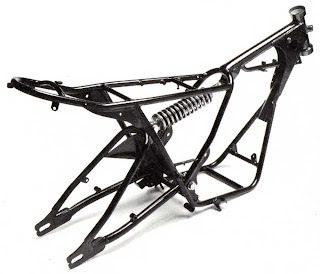 Things like a frame that, from the very first weld, is designed to handle with a capital ’H'! The same policy applies to our forks and brakes. Famous makers both, producing their well-known components especially for us, to our dimensions. Finally, as you can see, the Rambler is a very appealing marriage of all the best parts one could possibly imagine. 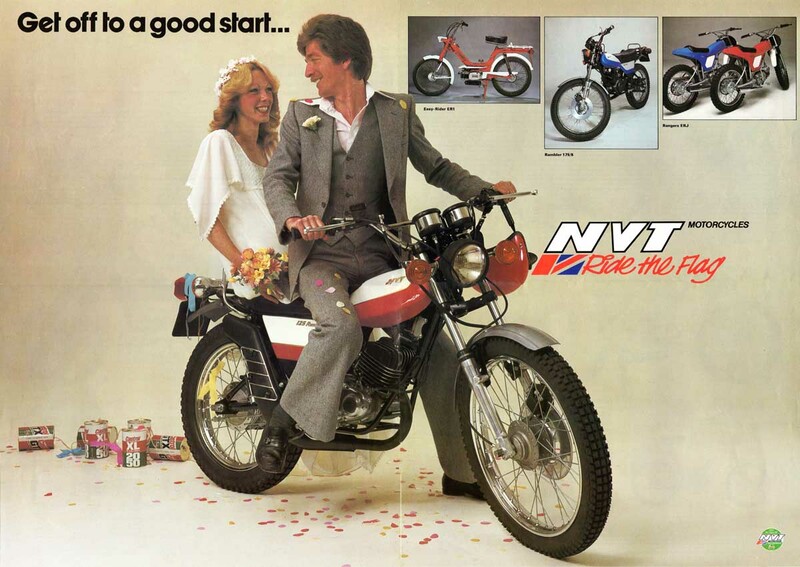 A handsome, rugged bike indeed. But don't just take our word for it. Check one out at your NVT Dealer today.